The presence of Google at InfoComm last week had flown under the radar as the tech giant made a last minute push the week before to send a few representatives to Vegas. But they weren’t there to sell their technology; they were there to mine for talent. Nestled over at the InfoComm booth in the North Hall, a select group of recruiters were on the case to hire new AV professionals at all levels. 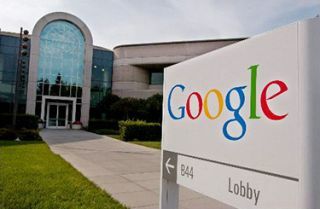 Google’s presence was spearheaded by the company’s AV director looking to InfoComm as a venue for new talent, particularly for project managers and room designers. Prospective applicants were able to stop by for a brief test gauging their experience and technical know-how. Close to 100 people had taken the quiz as of last Thursday afternoon. Recruiters were very positive about their experiences with interested job applicants at InfoComm 2014. For Tier PM AV/IT Staffing Solutions, an independent recruitment firm, “It’s been busy and worthwhile,” said Mark Winner, managing partner. Pam Grater, HR manager for CompView observed many recent graduates with audio backgrounds looking to get more into the video side of the business. She noted that there was a pretty wide range in the ages of people she had spoken to, including people in the 40-50 age range, as well as some young people in their 20s. She said she talked to about 150 people in a day and a half and that the job fair was a great networking opportunity. Virginia Deron, recruiting manager for AVI-SPL came to the job fair to promote all levels of positions available, yet she said, “It was a happy bonus to see so many young people prepared to talk to me,” including recent college grads armed with resumes and dressed professionally. AVI-SPL is currently in early development testing out a new program targeting high school and college students to provide mentoring and entry-level training.